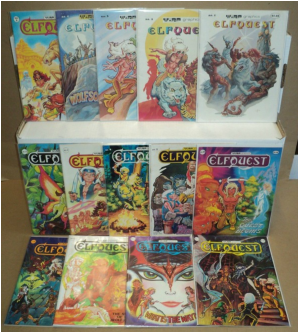 This master list attempts to set all the Elfquest stories in chronological order. 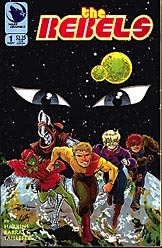 The complete storyline, from the arrival of the elves on Abode to the planet's space age, spans some 21,000 years. 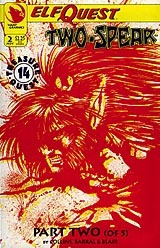 Headings are inserted to mark the most radical shifts in elfin history. The titles are linked so you can read them online in order. 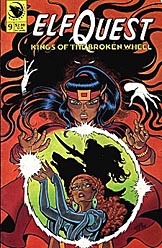 ​If you have never read Elfquest, start by reading the first twenty Elfquest comics published between 1978-1984, unofficially called “The Grand Quest." 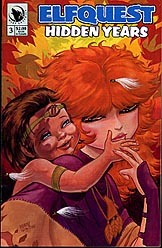 It was written and drawn exclusively by the creators of Elfquest, Wendy and Richard Pini. 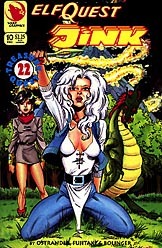 The comics produced after that first series were written and drawn by many contributors, and jump around between various timelines and stories in the history of the elves. Though all were published by the Pinis, not all contain artwork or writing directly done by the Pinis, and many are back stories or 'what-if' tales and thus not always consistent. 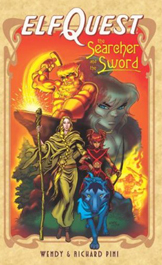 The most recent series, "The Final Quest," still available in stores, ties all of the stories together and brings the long-awaited conclusion the central storyline–40 years later to the day! 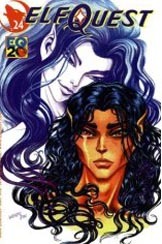 All of the Elfquest comics except The Final Quest are available to read online for free at Elfquest.com. But for the best reading experience, read them in print! My favorite editions are the color 4-volume Archives, but those are quite expensive as they are no longer in print. 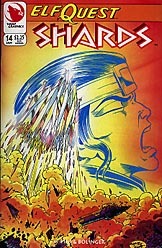 My second favorite are the color 4-volume Starblaze editions printed in the 80s, which go for a much lower price and are beautiful as well. If you just want a refresher or overview of certain comics, you can read a short or long synopsis here. 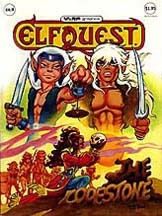 Elfquest 15 - The Quest Usurped! Frank Frazetta Fantasy illustrated 1 - “The Jury"
After issue 15, the plot splits in two, with Hidden Years carrying one thread and the Shards magazine the other. 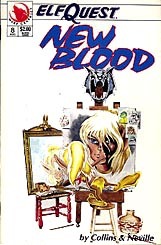 A third series, New Blood issues 13-35, runs parallel to these two plot lines. How New Blood interlocks with the other two series is not easy to tell, so most of this plotline is shown first. 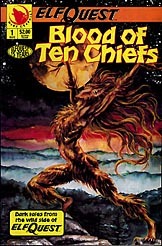 The first two stories of the Abodean space age, The Rebels and Jink, are set 900 years after the Shards War era and parallel each other closely.